The project comprises the construction of a deluxe finishing commercial building on a plot area of 1000 m2 facing three streets. It consists of one basement for commercial use, ground floor contains of commercial shops and mezzanine floor contains administrative offices. 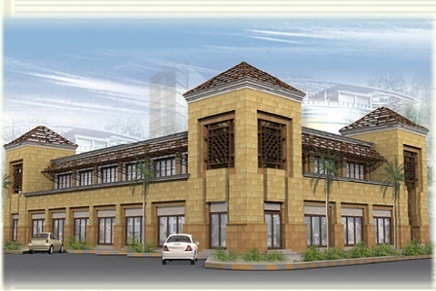 Traditional Kuwaiti style is the feature of the building design.